﻿ UNCLE SAM FIREWORKS » Customer Testimonials -- Loyalty inspired by great service and top notch fireworks. The Quadrani Family (Tony & Lan with sons Vincent & Anthony) in 2009 with their friend Uncle Sam. 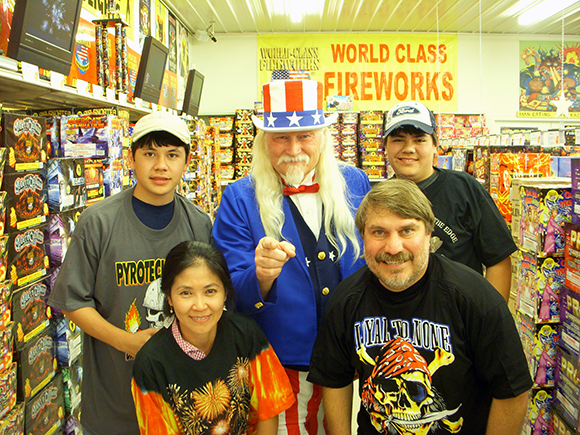 After loading up with fireworks and seeing Uncle Sam himself perform magic tricks, the family left saying "Uncle Sam's is THE BEST for fireworks. You Get More BANG for your BUCK! The magic show is a blast!" 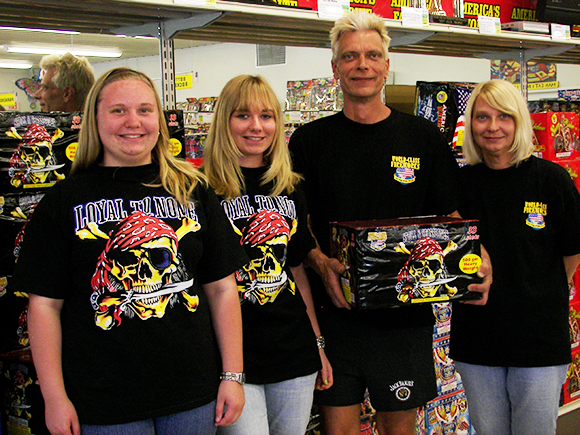 The Kath Family (Cameron & Helen with daughters Morgan & Courtney) coming back in '09 to show their love for our great fireworks, sporting their World Class Fireworks Loyal To None T-shirts. Now go back and read more about us.